Aaron Vry has been involved in the Kitchen and Bath design business since 1992. He has extensive knowledge in new construction and remodeling. Aaron Vry has been servicing the Las Vegas Valley and surrounding areas since 1994. Average Kitchens Range; $30,000 to $90,000. Average Master Bath Range; $25,000 to $50,000. Average Secondary Bath Range; $15,000 to $30,000. Average Whole House Remodel; $90,000 to $180,000. Obviously not all spaces are alike. There are many variables. These are estimates only based on experience and your actual costs may vary depending on the scope of your project. Contact us for a consultation about your project. 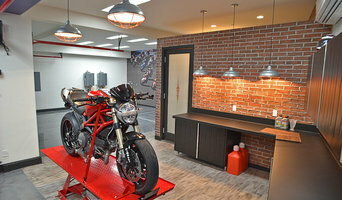 Aaron Vry has experience in new custom and spec homes, along with insurance remodels, and remodeling many homes in the las vegas area. His clients have ranged from the inexperienced first time home buyer to National Home Builders. 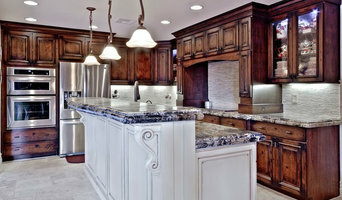 Las Vegas' Leading Source for Fine Custom Cabinets - 6x Best of Houzz! BrazaStone is a full service Marble & Granite Company established in Southern Nevada since 2004 ( NV License 0073615 ). Our services include design, engineering, fabrication, installation, imports, project management, and cabinetry. We work with natural and engineered stone, either in slab or precut tile, interior or exterior. We manufacture a variety of products: kitchen and bar counters, and vanities, tub surrounds and showers, detailed designer fireplaces, and custom floors and facades. In order to meet your personal and professional requirements, all work is specifically engineered to achieve the highest standard in design value. From concept to completion our design team can guide and manage your project by providing accurate dimensional or design drawings for manufacture, and stage by stage supervision of all phases of installation. In addition, we import Marble and Granite slabs from Brazil, Italy, Spain, and Asia. Our Slab Import and Distribution warehouse is stocked with over 100 stone slab selections. We can provide the ideal one stop, turnkey shopping experience for you and your customer. The staff at Braza Stone is dedicated to making your project a success. We love what we do. Daniella Villamil is an award winning full service interior design studio operating in Las Vegas. Our Dynamic fusion of Modern Eclectic with an International flair offers a unique approach that translates into timeless and one of a kind Interiors. Our studio's commitment to exceptional design and service paired with the close collaboration with our clients end with the creation of spaces defined by beauty, comfort and style. Her designs have been published in high end shelter magazines such as Elle Decor and Deringhall.com Financing for kitchen and bath remodels available. With extensive experience in the homebuilding industry, I have developed a passion for design. I am good at visualizing the core of a room and maximizing the space to its fullest use. Working in the constraints of the current configuration or starting from scratch, either way I can help you to achieve the space of your dreams. I take a strategic approach when designing. I make sure to pay attention to clients wants and needs while at the same time keeping budget in mind. What does a Las Vegas kitchen designer or bathroom designer do? 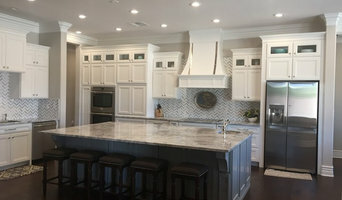 A kitchen and bath design professional in Las Vegas, NV knows to take all of these crucial points into consideration and can help plan the layout, materials and overall look and feel of either of these rooms in your home. Kitchen designers, as well as bathroom designers, are constantly staying on top of trends in the ever-changing industry. The designer also knows the best layout for your room, and can configure the layout for optimal functionality and utilization of the space. In the kitchen the refrigerator, stove and sink should be laid out in relation to one another, and it should be seamless and easy to move from one to the other. A Las Vegas kitchen and bath designer will know how to work with a contractor and architect to plan the flow of the room to work best for your needs. Here are some related professionals and vendors to complement the work of kitchen & bath designers: Kitchen & Bath Fixtures, Appliances, Tile, Stone & Countertops, Cabinets & Cabinetry, Woodworkers & Carpenters. Before you talk to bath and kitchen designers in Las Vegas, NV, consider how you will use the room. For your bathroom, is it necessary to have a bathtub for bathing kids or pets, or would a shower suffice? Perhaps all you need is a half bath for downstairs or a smaller guest bath for occasional use. Similarly, for kitchen renovations consider your cooking habits. Do you eat out every night but need a space to entertain in? If so, a smaller kitchen might be fine for you, with a space devoted to wine storage or a bar, whereas others might prefer a bigger stove or extra cabinets. When interviewing Las Vegas kitchen and bath designers, make sure to share these habits so they can best fit the room to suit your needs. Find a Las Vegas kitchen designer or bathroom designer on Houzz. 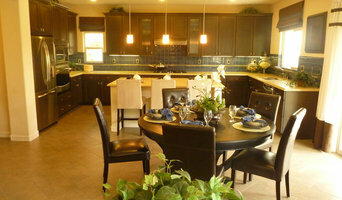 Narrow your search in the Professionals section of the website to Las Vegas, NV kitchen and bath designers. You can also look through photos in Las Vegas, NV to find a kitchen or bathroom you like, then contact the professional who designed it.